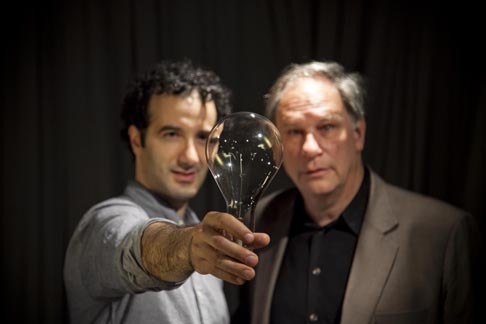 This is awesome: RADIOLAB LIVE is coming to Miami with hosts Jad Abumrad and Robert Krulwich and with special guests Demetri Martin and Thao Nguyen! The show is happening Wednesday, February 1st at the Fillmore Miami Beach and thanks to the rad folks at NY Public Radio, we’re offering you a special discount code! Enter code “SWEAT” at checkout to save over $10 per ticket. Get them now right here. From Radiolab: “You don’t want to miss it–we’ve got science, suspense, comedian Demetri Martin, live scoring by Thao Nguyen, and dancers–no joke, dancers for the radio!” It’s going to be a great night so grab your tickets soon!